NEW since December 2018: Excelsior Dolomites Lodge with many new highlights! Welcome to Excelsior Dolomites Life Resort****S in St. Vigil in Enneberg! Our family-run Excelsior Dolomites Life Resort in St. Vigil in Enneberg is characterised by special charms and unique style. We give high importance to quality in all respects, to excellent service and hearty hospitality as well as to a professional team with 40 employees. For our guests, we offer new, elegant rooms, which are equipped with precious materials, offering a comfortable well-being atmosphere. New from December 2018 will be our Excelsior Dolomites Lodge, a sensational extension with 16 new rooms and suites. 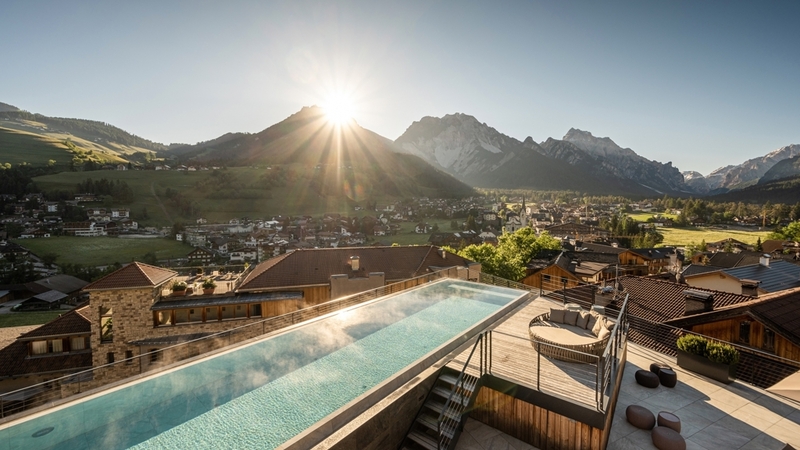 New as well is the kids and junior club, the restaurant with buffet area as well as the Dolomites Sky SPA (for adults only) with panoramic infinity pool, several saunas and many other highlights. Our chef Karol pampers you every day with traditional South Tyrolean specialities as well as with Mediterranean delicacies. For the preparation, we use high-quality products from the region. Our spa area and beauty castle “Castello di Dolasilla” comprises 5 floors and 1,300 m² for complete relaxation. In addition to various saunas and relaxation rooms, you will look forward to a panoramic indoor pool (32° C) and a relay outdoor pool (35° C). For our soothing massages and beauty treatments, we only use natural products. 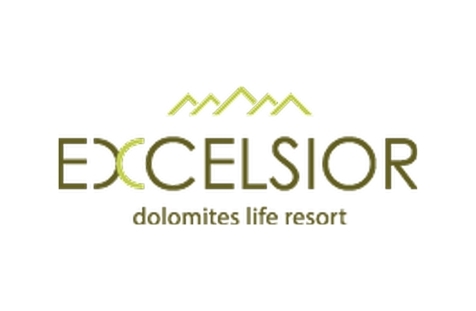 As well, active vacationers will feel like in paradise in our Excelsior Dolomites Life Resort. The varied activity programme includes guided hikes, bike and Nordic walking tours, jogging, archery, climbing lessons, water gym, Pilates and much more. The small guests look forward to the Junior Kids Club with wonderful activity programs. In the environs, you will find magnificent hikes in the world of the Dolomites. As a member of Mountainbike Holidays, our guests are offered numerous extras for unforgettable bike holidays in South Tyrol. In winter, you have direct access to the slopes of Mt. Kronplatz and famous Sellaronda from the ski cellar of our hotel. Our rooms Fanes are comfortable double bedrooms panelled and furnished in natural wood with ca. 22 mq and balcony. The rooms are equipped with bathroom with bathtub or shower, marble wash basin, beauty mirror, bidet, hair-dryer, fridge, safe, telephone, internet connection and satellite TV. Our single rooms Fanes are comfortable double bedrooms panelled and furnished in natural wood with ca. 22 mq and balcony. The rooms are equipped with bathroom with shower, marble wash basin, beauty mirror, bidet, hair-dryer, fridge, safe, telephone, internet connection and satellite TV. Our rooms Pares are spacious double rooms panelled and furnished in natural wood with ca. 33 mq and balcony. The rooms are equipped with bathroom with bathtub, marble wash basin, beauty mirror, bidet, hair-dryer, fridge, safe, telephone, internet connection and satellite TV. Our rooms Lavarella are spacious de luxe rooms with 37 - 40 mq furnished in natural wood, double bed, living area, some with tiled stove, bathroom with tub or shower, terrace or balcony. The rooms are equipped with bathroom with bathtub or shower, marble wash basin, beauty mirror, bidet, hair-dryer, fridge, safe, telephone, internet connection and satellite TV. or4 rooms inspired by precious stones: Crystal, Rubin, Acquamarin, Smaragd (30-37m²) furnished in natural wood, double bed, living area, bathroom with tub or shower and balcony. The rooms are equipped with bathroom with bathtub or shower, marble wash basin, beauty mirror, bidet, hair-dryer, fridge, safe, telephone, internet connection and satellite TV. Our „Fanes Family“ are spacious family rooms panelled and furnished in natural wood with ca. 39 m², with a double bedroom with connecting door to a single bedroom and balcony. The rooms are equipped with 2 bathrooms with shower, marble wash basin, beauty mirror, bidet, hair-dryer, minibar, safe, telephone, satellite TV and balcony. In the room you will find a backpack for excursions, bathrobes, slippers and towels for the swimming pool and sauna area. Our suites Fodara are spacious suites panelled and furnished in natural wood with 55 mq on 2 floors with balcony, bedroom, bathroom with tub and on the 2 floor you will find another bedroom. Some suites are furnished with a living room with couch, bathroom with tub and upstairs the bedroom and another bathroom with shower.The suites are equipped with marble wash basin, beauty mirror, bidet, hair-dryer, fridge, safe, telephone, internet connection and satellite TV. Our suites Conturines are spacious suites panelled and furnished in natural wood with 75 mq on 2 floors and balcony. In the 1. floor do you find the wardrobe, a living and a bed room and the bathroom with shower. In the 2. floor you find the double bedroom and the bathroom with bathtub. The suites are equipped with bathroom with bathtub or shower, marble wash basin, beauty mirror, bidet, hair-dryer, fridge, safe, telephone, internet connection and satellite TV. What it takes to enjoy happiness? Unforgettable adventures, valuable experiences and romantic time together. Flowering meadows and lush greenery. Nowhere the flowerage is richer and more enchanting as in the Dolomites.